Home » Blog » Which Is Safer For Hair, A Hot Air Brush Or A Straightening Brush? Rendering hair sleek, shiny and silky can be achieved in multiple ways. Brushes offer effortless styling, while a flat-iron produces too much heat and a regular blow dryer requires a diffuser or a round brush. You can get straight hair by using other styling tools, but you’re going to have work harder. Remember that your hair type is what determines the tool. Well, that and the overall condition of the hair strands. Heat when applied to hair, isn’t bad, it when heat is held on strands for longer than the hair can tolerate, which causes damage. In Hollywood, stylists often disguised poor hair conditions with extensions. In real life, it’s best to avoid hair damage by reducing heat than it is to correct or reverse it. Well, first let’s look at the basics of each brush. 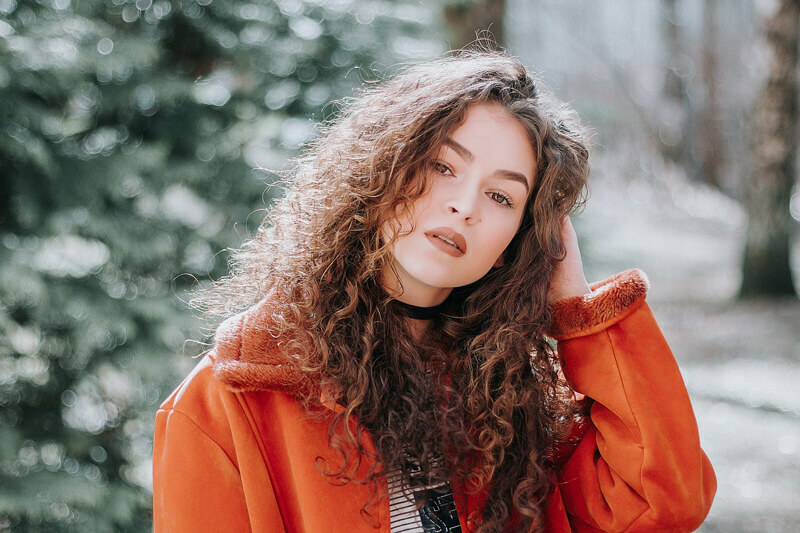 Prepare to release or relax curly hair with a hot air brush. Why plan? Because using a hot air brush is recommended based on your hair types. For women with slightly wavy hair, who prefer straight styles, opt for a hot air brush. Add volume, create lush waves using the technology of hot air. What you can carry out with a blow dryer and a flat-iron, you can get it quicker and smoother with a hot air brush. Get styled hair, by straightening it while you dry. Some come with heads to execute different styling effects. Bring out loose, flowy waves, by switching to or using lower heat. Works on all hair types, won’t cause heat damage when used daily. For frequent use with fine, thin or damaged hair, a hot air brush doesn’t cause breakage or stressed strands. Some brushes have features such as a spin function, for rotating bristles. When hair is slightly damp, remove the tangles and decide if you want straightening or straightening and styling. The added benefit of hot air brushes is simple, they have ceramic technological advances, which uses concentrated ions. This means that the heat actually softens and protects hair. Hot air brushes leave hair volumized, shiny and healthy. Some women with naturally curly hair feel like it more manageable and healthy with a straightening brush. Typically, women with curly hair use a flat-iron when they want to wear straighter styles. Flat irons cause heat stress and damage fragile strands. 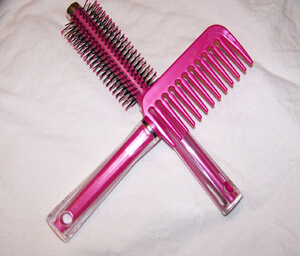 This hair styling tool is also known as a ceramic straightening brush. Hair dries and becomes sleek, shiny and straight in one pass. There is more heat than with a hot air brush. When time is low, a straightening brush is an answer. But, the heat settings also cause more damage. However, if you have thick hair, cut in different layers, this styling tool works best. This is the most affordable option, for anyone on a budget. You can get one at Walmart, starting at ten dollars. The ones with the advanced technologies also offer the greatest strand protection. The difference between a hot air vs. straightening is that the hot air has low heat, while the straightening brush provides high heat settings. 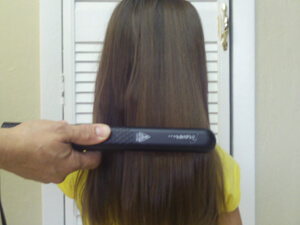 The straightening brush is considered “more powerful” than the heat from a flat-iron. Double the heat means the greater risks for heat-related damage. The highest heat setting possible is 550 degrees. Which obviously, would burn hair. Some users say straightening brushes can also cause damage to the ends. There have been reports that the design of the bristles, snags hair ends. Heat damage is an experience of moisture loss, which causes dryness, brittle strands, and lifeless hair. If the choice is which hair styling tool is best to prevent future damage, then the correct choice would be the hot air brush. Both allow you to toss out other styling aids such as blow dryers, flat irons, and curling irons. One pass through hair with a hot air brush leaves hair shiny and healthy with soft waves. With a straightening brush, you will get sleek hair and the damage could be lessened or avoided with hair products. So if the choice comes down to everyday use, the hot air brush protects hair strands. While the settings on the straightening brush can be adjusted, it delivers concentrated heat. Know the risks, avoid hair damage. If you do prefer the straightening brush, remember to incorporate a nourishing styling aid, such as camellia, avocado or sunflower oils. No matter which styling tools used, reducing the damaging effects of heat. Not all straightening tools make the condition of hair worst, hot air brushes actually improve the condition. For some women using a straightening, a brush is best because their hair is coarse, unruly or super curly. There are specific advantages of the straightening brush for these women. However, if your hair is extremely fragile, then choose the hot air brush to maintain the integrity of the strands. Pick the one that’s right for your hair type. Ion technology is lessening the effects of heat damage. Hair stylists and professionals can recommend which at-home tools you can use to keep up the style you want.